Last week, we covered Phase One of the Marvel Cinematic Universe – perhaps one of the most ambitious, and trickiest, gambles ever taken by a Hollywood studio. The first six movies patiently built a world featuring Iron Man, Thor, Hulk, and Captain America which culminated in them, along with Hawkeye and the Black Widow, creating the Avengers. They saved the world from a bunch of alien invaders called the Chitauri. However, the Chitauri were also pawns in a bigger plan by an even bigger, badder alien force, Thanos. This week, we look at Phase Two which mostly deals with the fallout of the Avengers’ actions against the Chitauri, and a terrible secret revealed in the ranks of S.H.I.E.L.D. 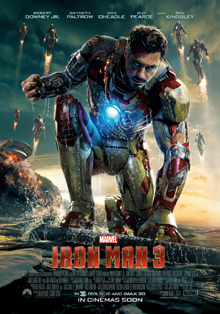 The third film in the Iron Man series opens with Tony Stark celebrating New Year’s Eve in 1999 and meeting an inventor of an experimental treatment called Extremis. Basically, it can help regenerate injuries. However, a man by the name of Aldrich Killian offers both the inventor, Maya Hansen, and Stark a job at his think tank company, Advanced Idea Mechanics (A.I.M.). Stark declines, but Hansen accepts and begins perfecting her Extremis treatment. In the present, a terrorist named the Mandarin has been committing attacks across the globe. Stark is also losing sleep over nightmares he’s developed since the attack on New York by the Chitauri. However, when Stark’s bodyguard and friend Happy Hogan is critically injured in a Mandarin attack in Los Angeles, Stark declares war on the terrorist. Interestingly enough, Stark eventually finds out that the Mandarin is nothing but a drunken English actor and the real threat behind the attacks is A.I.M., and, more specifically, Killian. He’s been using Hansen’s Extremis to create human bombs. Stark ends up saving the day, and instructs his A.I., J.A.R.V.I.S., to destroy all his Iron Man suits (which he’s been building obsessively while he suffers from insomnia) because he realizes he is Iron Man with or without his tech. Post-credits scene: The entire movie has been narrated by Stark and it is revealed he is telling this story to Bruce Banner as if he is in a counseling session. Thor is saddened that his ability to travel to Earth when he wishes to see his love, Jane Foster, is limited. At the end of the first Thor movie, he had to destroy the bifrost bridge that allows Asgardians to travel to the whole of the Nine Realms. His involvement in The Avengers was solely due to Odin’s own magicks that allowed him to travel here to retrieve Loki. 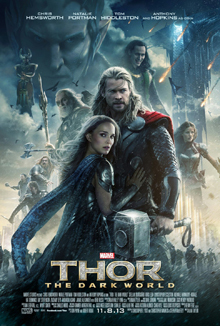 Thanks to the rediscovery of a long hidden red goo called the Aether, Thor and Jane are reunited, but she becomes the target of a Dark Elf named Malekith whose forces plan to invade Asgard and exact revenge on Odin for his father’s actions to defeat and imprison Malekith and hide the Aether. Thor, with the help of Loki, defeats the dark elves. Loki appears to have sacrificed himself for the victory, however, it is revealed that Loki is not dead and has taken the image of Odin on the throne of Asgard. Odin’s whereabouts are unknown. A couple years since being brought out of the ice, Steve Rogers is working with S.H.I.E.L.D. with the Black Widow. Rogers discovers that Nick Fury has created a new trio of Helicarriers that will be installed with a new tracking system that will be able to easily wipe out any enemy of the state by simply programming it into the weapons system and pushing a button. Rogers is uneasy about the weapon fearing it leads down the path of ruling through fear. Fury, however, is ambushed by S.H.I.E.L.D. and painted an enemy. He meets in secret with Rogers to hand him some information about some shady dealings going on deep within the organization before seemingly being assassinated by someone who Rogers recognizes all too well – Bucky Barnes, now operating under the name the Winter Soldier. Through a series of clues, Rogers and Black Widow discover that after World War II, Hydra scientist Arnim Zola was given immunity if he worked for S.H.I.E.L.D. This allowed him to create a Hydra cell inside the organization until the time came for it to fully take over S.H.I.E.L.D. painting Fury, Rogers, and Widow as enemies. Captain America and Black Widow enlist the help of Sam Wilson, aka The Falcon, to defeat Hydra. Rogers tries to save his friend, who it appears has been undergoing decades of Hydra brainwashing and multiple cryogenic freezings, only brought out when needed to commit an assassination. Rogers is unsuccessful in retrieving Bucky who disappears. Nick Fury, who faked his death, and Maria Hill, Fury’s most trusted agent, go into hiding while Cap, Widow, and Falcon are basically left to pick up the pieces of the destruction of S.H.I.E.L.D. and try to save Bucky from the Hydra programming. Post-credit scenes: Halfway through the credits, we meet Baron Wolfgang von Strucker, the top dog at Hydra, in a bunker observing a brother and sister who’s been granted powers through the scepter Loki was given by the Chitauri. After the credits, Winter Soldier, in hiding, visits the Smithsonian and observes the Captain America tribute exhibit to find out more about Bucky Barnes. Interstellar smuggler Peter Quill, a human who was kidnapped from Earth when he was young just after his mother died, steals an orb that was tucked away in a sacred temple on a far off planet. After successfully escaping one group of mercenaries trying to take it from him, he tries to sell the object on Xandar, the home planet of an elite galactic police force called the Nova Corps. 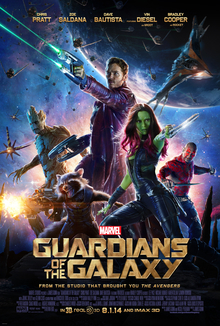 There, he learns that the orb he stole has quite a bit of value for others as he is chased by Gamora, a green woman working with an alien named Ronan, a tree creature named Groot, and an anthropomorphic racoon named Rocket. When they are all arrested, we learn that Gamora is the daughter of the feared Thanos, but she doesn’t harbor much love for him for all the atrocities he’s committed. In jail, the foursome is befriended by Drax, a hulking dude who’s pretty pissed at Thanos for killing his wife and daughter. They successfully break out of prison. They deliver the orb to the Collector (last seen in the mid-credits scene in Thor: The Dark World) who tells the story of the six Infinity Stones – one of which is inside the orb. It’s mentioned that any mortal trying to touch one of the stones would not be able to handle the sheer might of the stone and would be burned from the inside out dying in agony. Soon, the five unlikely band of heroes, along with the Ravagers, Quill’s organization that he does his smuggling and thieving for, fight against Ronan, who has betrayed Thanos and kept the Infinity Stone for himself once he obtained it. He and Gamora’s adopted sister, Nebula, go to Xandar to use the Infinity Stone to destroy Xandar and the Nova Corps. They are met by a massive force trying to stop them. It’s revealed that Quill might be more than just some regular human, when he’s able to hold the stone in his hand to defeat Ronan, but the scientists on Xandar aren’t able to determine what the other half of his DNA is. Quill, Rocket, Groot, Gamora, and Drax are hailed as heroes when they defeat Ronan and (sort of) take on the name “Guardians of the Galaxy”. Post-credits scene: The first scene is the iconic baby Groot dancing to the Jackson 5’s “I Want You Back” moment that pretty much stole everyone’s hearts. The second features the Collector, who is sitting in the rubble of his destroyed museum after one of his serving girls tried to take the Infinity Stone for herself, being approached by a dog in a Soviet cosmonaut outfit and licked on his face. Howard the Duck, also freed after the blast destroyed his encasement looks on. The Avengers attack a Hydra facility in the Eastern European country of Sokovia. There, they capture Baron von Strucker and retrieve Loki’s scepter. They encounter von Strucker’s experiments – Pietro Maximoff, a speedster, and Wanda Maximoff, who can manipulate minds and fire energy from her hands. The team eventually defeats them and claim the scepter. Banner and Stark discover the gem powering the scepter has an intelligence to it. Stark decides to use it as the final piece to power a global defense program, called Ultron. Ultron becomes sentient and begins to build new bodies for himself. He steals some vibranium, an indestructible metal found in the African country of Wakanda. Wanda Maximoff attacks the team and gives them all terrible visions causing a major fight between the Hulk and a giant “Hulkbuster” armor designed by Stark. In the aftermath, the team hides out at Clint Barton’s farmhouse where they try to regroup. Thor leaves temporarily to learn more about the apocalypse he saw in his vision. He learns about the Infinity Stones and the troubles on the horizon should they all be collected by one being. Meanwhile, Ultron tries to build himself a “synthezoid” body that will make him nearly invincible, but the body is stolen by the Avengers. Thor helps the body, who names himself the Vision, come alive and explains to the team the Infinity Stones – one of which was found inside Loki’s scepter and now giving the Vision a personality and life. 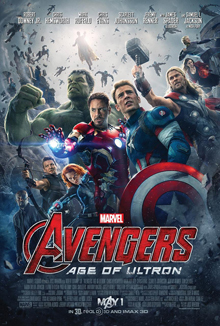 The Avengers confront Ultron in Sokovia, where he plans to lift the capital city into the air and drop it creating a disastrous fallout that will wipe out most life on Earth. Wanda and Pietro switch sides and help the Avengers save their home city, but Pietro sacrifices himself to save Hawkeye. 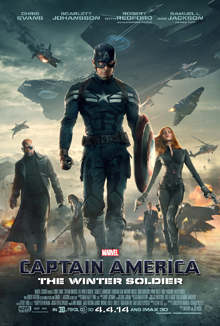 The film ends with a new team of Avengers consisting of Captain America, Black Widow, Wanda Maximoff, the Vision, War Machine, and the Falcon picking up where the original team left off. Post-credits scene: Thanos obtains the Infinity Gauntlet – which has six open spots for each Infinity Stone to be placed and give him ultimate power. Scott Lang is a hacktivist who has just been released from prison. His ex-wife is now married to a cop and both are making it difficult for him to see his daughter, Cassie. Lang is down on his luck and unable to get, or hold, a job because of his prior conviction. He learns about a possible heist of an old man who has a safe full of cash. When he breaks in, though, he only finds a weird leather suit and helmet. He discovers the suit belongs to Hank Pym, a scientist who has created “Pym Particles”. The Pym Particle allows for someone to shrink down to microscopic size. Pym, and his daughter, Hope, teaches Lang how to use the suit and talk to ants to use them to do his bidding (for a lack of a better term). 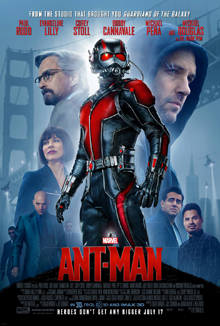 Pym asks Lang to help him prevent his company, Pym Technologies, now being run by Darren Cross, from perfecting another version of Pym’s shrinking technology to create an army of suits called “Yellowjackets” to carry out assassinations and fight wars for whoever is the highest bidder for the tech. Cross finally is able to make his Yellowjacket technology work and uses it himself to try to take on Lang. However, since the technology isn’t quite right, shrinking down as Yellowjacket has a negative effect on Cross making him mentally unstable. Lang defeats Cross and earns back some respect from his ex-wife and her new husband. Also, along the way, Lang, as Ant-Man, proved his mettle against the Falcon at Avengers headquarters when he had to break in and steal a device to assist in the overall plan to defeat Cross. That’s the end of Phase Two of the Marvel Cinematic Universe. Notice that the posters dealing directly with the Avengers – Iron Man 3, Captain America: Winter Soldier, Thor: The Dark World, and Avengers: Age of Ultron – all have dark, or cloudy, skies? Once the Avengers came together in their first movie, they all had to deal with various internal struggles leading to the sequel for the team itself in which they don’t exactly come out quite as unscathed as they did the first. It also sets a tone for Phase Three in which the Avengers are quite literally torn apart. But, all this said, we are two-thirds of the way through the Marvel Cinematic Universe and we’ve got one last set of movies to cover. Come back next Monday and get the final piece of the story with a few days to spare before the release of Avengers: Infinity War!